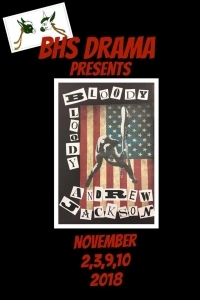 Burroughs Drama Department Presents their fall Production the Musical Bloody Bloody Andrew Jackson. This production is a rock musical, with music and lyric by Micheal Friedman and book by Alex Timbers, It reframes our 7th president and creates a parallel between the prototypical rise of a rock and roll star and Andrew Jackson's rise to national politics. Jackson was a Washington outsider whose brash and rebellious political style upset the traditionalist politicians. "It is from within, among yourselves-from cupidity from corruption, from disappointed ambition and inordinate thirst for power-that factions will be formed and liberty endangered. It is against such designs, whatever disguise the actors may assume, that you have especially to guard yourselves. 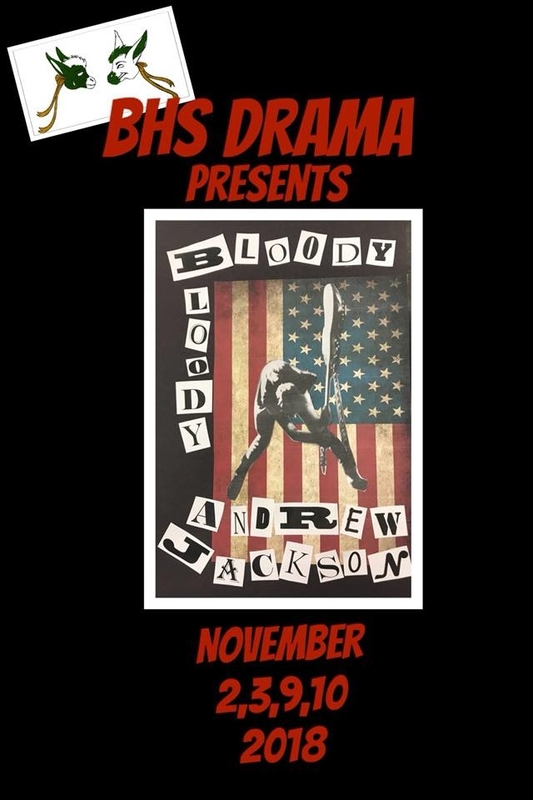 "But you must remember, my fellow citizens, that eternal vigilance by the people is the price of liberty, and that you must pay the price if you wish to secure the blessing"
Show dates are November 2,3,9,10. Doors open at 6:30 PM and the show will begin at 7:00 PM. Tickets may be purchase at Red Rock Books. Presale tickets are $10, $12 at the box office. * Show not suitable for small children.